Former tennis player Carlos Moya tweeted that despite all of Novak Djokovic's career victories there will be one point he will never forget. Nole touched the net in a crucial point in the fifth set in the semifinal match against Rafael Nadal last Friday at Roland Garros. The point was awarded to Nadal because the rule says that the play must be over (second bounce) before a player can touch the net. 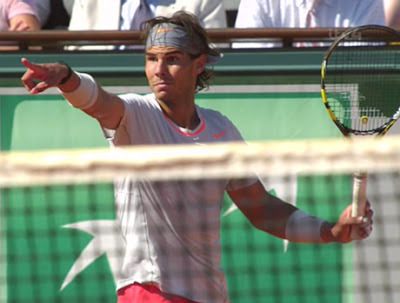 The match was tied 40-40 in the eighth game of the fifth set and Nadal eventually won the set and the match. Mats Wilander, in his Eurosport show Game, Set & Mats, pointed out that touching the net is a rare event and in his entire tennis career he had never, ever touched the net during a point.